But let me tell you it’s already been decided. The Philadelphia Union have already registered the first two names. 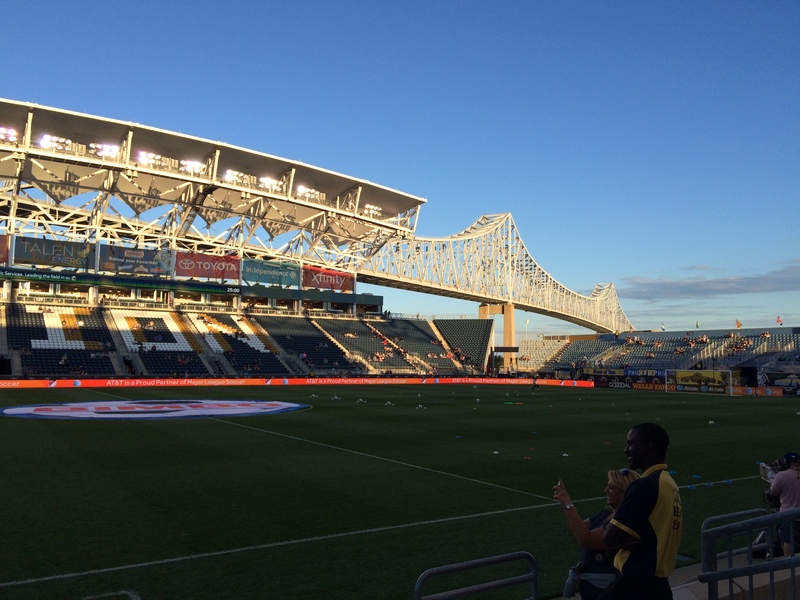 Around here, we think that it will be “Bethlehem Steel FC” while they play at Goodman–but they’ll keep “Lehigh Valley Steel FC” in their back pocket for when/if they move down to the riverfront in Allentown. So go vote. Have fun. But it’s Bethlehem Steel FC. Yes, it’s a dead industry and a company that ultimately failed. And yes, it’s “only” soccer. But it’s also part of this region’s history and part of this country’s history. I’m fine with it. Kram III and I went down to catch a Union game last Sunday. We had a great time and had great seats. We couldn’t be more excited for the USL affiliate to arrive in March. Hopefully, or local team won’t gouge us quite so hard for parking and concessions. 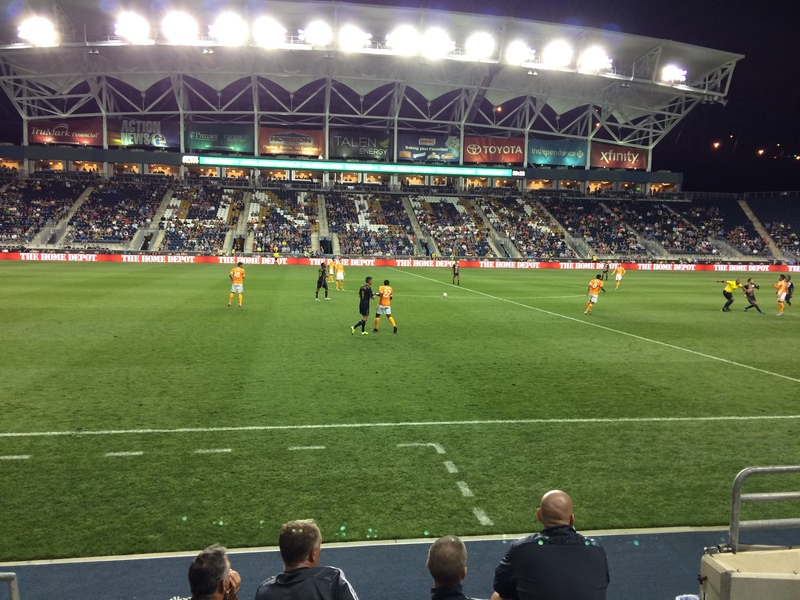 The Union won 2-0 over Houston and a good time was had by all. Except, maybe the opposing coach, whose head you can see in the above photo. He wasn’t too pleased all night. I almost reported him for “unruly fan behaviour” as he wouldn’t sit down or shut up all night. It was fun, though. I definitely want to go back whenever I can. Another soccer news item: This report suggests the US Soccer Hall of Fame might be coming to the Poconos. 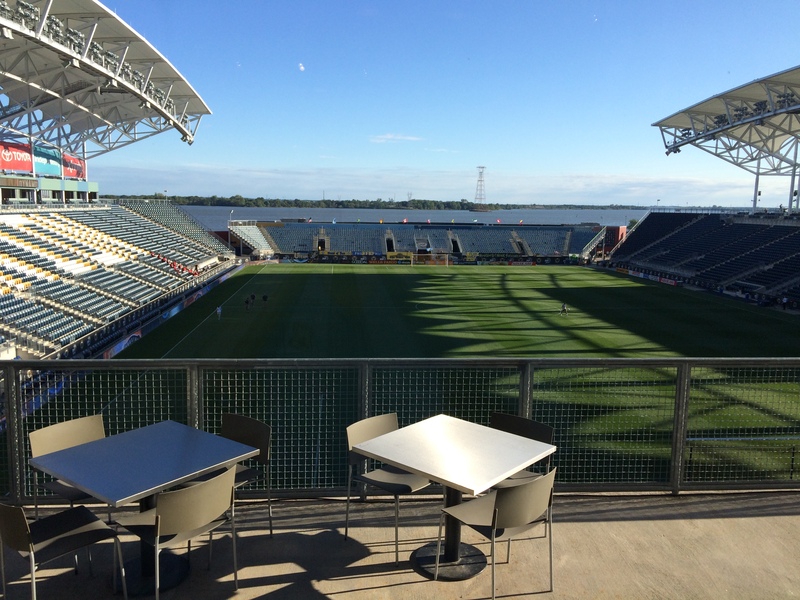 Now, the rendering in the story is quite grand, but I think a scaled-down version with a nice stadium to be shared by the Bethlehem Steel FC could be done along the waterfront in Allentown. And, those investors could get tax money to help pay for it all–much easier–via the current improvement scheme already in place. What do you think?